A free experimental college in the Twin Cities kicked off its fourth year this month, offering classes on everything from hip hop and Brazilian drumming to personal finance and "mindful eating." 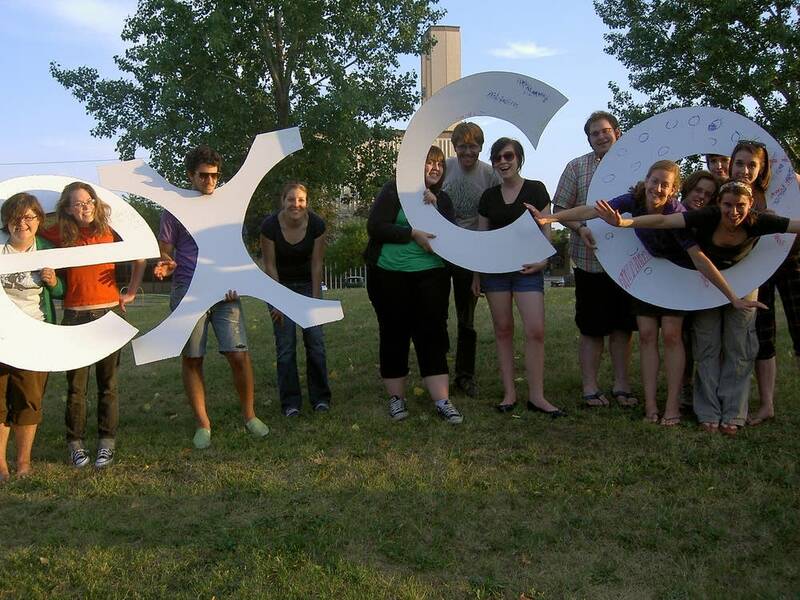 The volunteer-run Experimental College of the Twin Cities, known as EXCO, offers free classes open to the public at area bookstores, libraries, churches, community centers, parks, and art galleries. "Basically, classes are held wherever we can get free or very cheap spaces," said EXCO volunteer organizer David Boehnke. The program, started by students at area colleges, has grown rapidly in the past four years. Volunteers offered six courses in the first year. Last year, about 1,700 people enrolled. The program has expanded from a few popular classes, including bicycle maintenance and composting, to encompass dozens of courses, both light-hearted and more traditionally academic. This year's catalog features classes with names like "Changing the Narrative of Mental Illness," "Charles Darwin and the Origin of the Species," "Knit and Such," and "Learn to play the recorder!" Volunteer instructors create their own courses. "There are a lot of community folks who are either sharing something they do professionally or something that they're really passionate about that they're not able to do full time," Boehnke said. Laura Winton plans to teach two classes this fall: "Basic Acting (even if you're not a Broadway star or even a theatre major)" and "From Abbie Hoffman to Hothead Paisan: A Brief History (and Practice) of Culture Jamming." "The point of an EXCO class is to pick up some knowledge, but also to have some fun with it," Winton said. "For a non-credit class, you have to be as enjoyable and also as informative as possible." The experimental college receives funding from Macalester College and the University of Minnesota, where organizers have registered the program as a student group. The group's $15,000 annual budget is enough to purchase basic class supplies, and occasionally cover travel and day care costs for instructors. The program also offers up to $300 in stipends for instructors who otherwise would not be able to afford to teach. Jason Tanzman, of the St. Paul-based Sibley Bike Depot, has taught over 20 bike maintenance classes for EXCO. His classes, with a limit of 20 students, fill up quickly. "I think the bike classes give people a skill that is useful to them in their life in a very practical, material way," Tanzman said. "It allows them to not spend a bunch of money at a bike shop that they might not be able to afford." Tanzman said the majority of his students are in their twenties, and at least 25 percent are college students. He said that Sibley Bike Depot organizers have been working to publicize the classes to a wider audience. EXCO organizers also plan to partner with the Minneapolis Community and Technical College and Latino community organizations to expand the program this fall. Classes start in the next several weeks. Registration is available online.